An HSA Qualified High Deductible Health Plan could simply be considered a policy with a high deductible. But the term “high deductible health plan,” or QHDHP, is specific to plans that not only have high deductibles, but also conform to other established federal guidelines. 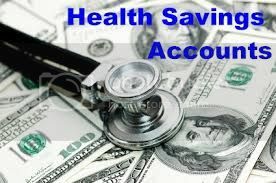 QHDHPs are the only plans that allow an enrollee to contribute to a health savings account (HSA). QHDHPs cover preventive care before the deductible – the ACA requires this of all plans – but under an QHDHP, no other benefits are provided until the insured has met the deductible. That means QHDHPs cannot have copays for office visits or prescriptions until the deductible has been met. With a QHDHP, you pay for everything other than preventive care until you satisfy your deductible. After that, you pay coinsurance until you satisfy your out of pocket maximum limit. QHDHPs have specific guidelines in terms of allowable deductibles and out-of-pocket costs. These are adjusted annually by the IRS. Generally, the premiums for QHDHPs are lower than traditional copay plans, however, the major benefit of a QHDHP is that it allows covered insureds to open and contribute to an IRS-qualified health savings account. In 2018, you can make tax-free deposits into this account (even if you take the standard deductions and don’t itemize) of up to $3,450 for individuals or $6,900 for family coverage. If you’re 55 or older, you can contribute an extra $1,000 a year. This money is yours to withdraw, tax free, at any time, to pay for qualified medical expenses that aren’t covered by your QHDHP. You can reimburse yourself after the fact if you prefer – so if you incur a medical expense in 2017 but pay for it without withdrawing money from your HSA, you can opt to reimburse yourself for that spending several years down the road, as long as you keep your receipts. Health insurance premiums are not a qualified medical expense, however HSA funds can be used for COBRA premiums, Medicare premiums (other than premiums for a Medicare supplemental policy, such as Medigap), long-term care premiums, or health insurance premiums paid while the person is receiving unemployment benefits . If you take money out of your HSA for anything other than a qualified medical expense, you’ll pay taxes on the withdrawal, plus a 20% penalty. However once you turn 65, you can pull money out for any purpose, paying only income taxes, and no penalty. You also have the option to just keep the money in the HSA and use it to fund long-term care later in life. The money is never taxed if you’re withdrawing it to pay for qualified medical expenses, even if you’re no longer covered by and QHDHP at the time that you make the withdrawals. Contributions to the HSA can only be made while you have in-force coverage under an QHDHP.